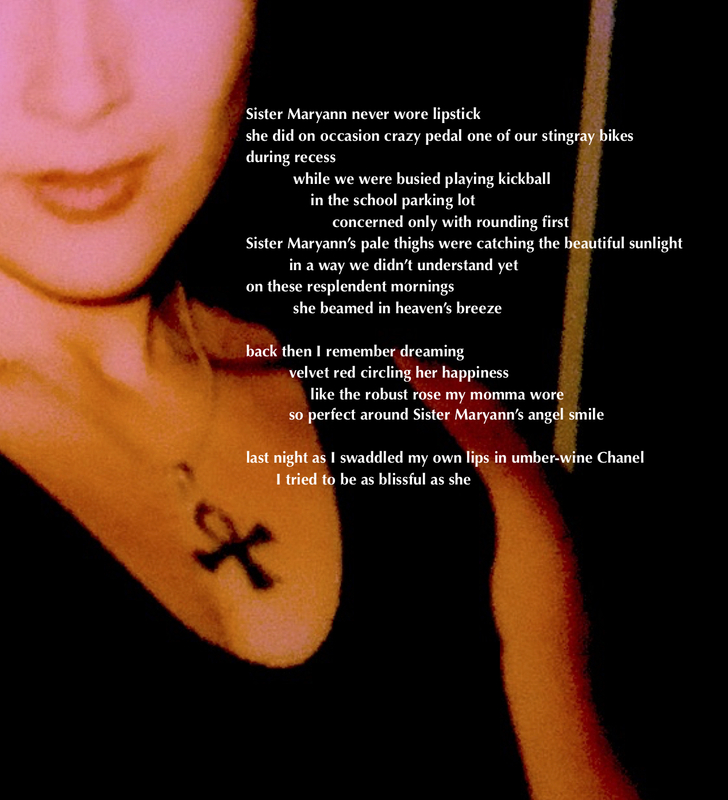 This entry was posted in My Art & Writing and tagged beauty, Catholic School, childhood, dreams, Education, faith, happiness, intimacy, memories, photograph, poetry, prose, religious symbols, secrets, sexuality, truth, writing. Bookmark the permalink. Beautiful work AnnMarie. I have sad news one of my close friends turned out to not be a true friend we were friends when we were both struggling but when she got better she left the picture. It’s disappointing but people can be selfish. AnnMarie=Number One!